Is chocolate a food group? Well, it should be. If I had to choose between chocolate and fruit desserts, I would choose chocolate. But then again I do like fruit dessert. I’m really just a dessert person. This is why I’m also a runner. 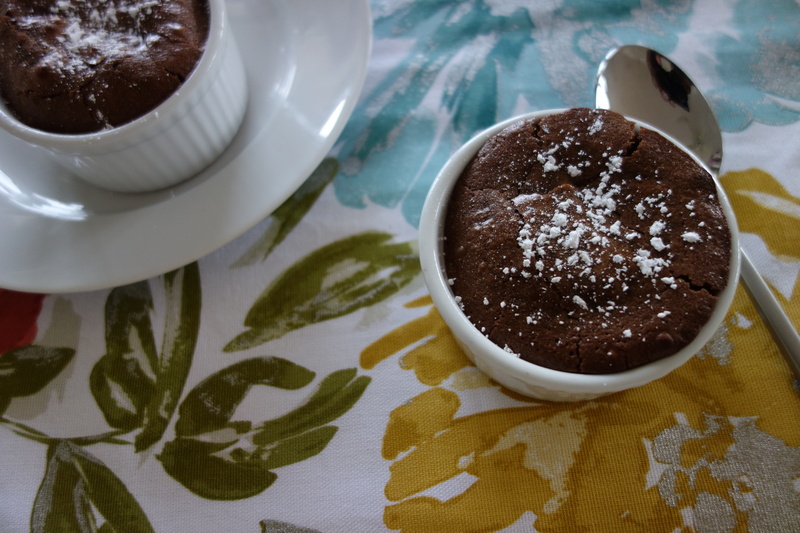 I digress… This molten chocolate lava cake is dangerously easy to make. I say “dangerously easy” because maybe one day you won’t feel like cooking dinner and you’ll just make this instead. Not that I’ve done that. I’ve made this for dinner parties, date night, and lots of times in between. Everyone is really impressed because of that whole lava thing, but they don’t even realize how easy it is to make. Whip this up ASAP and you’ll thank me. P.S. This recipe can easily be multiplied. Start by melting the butter and chocolate. 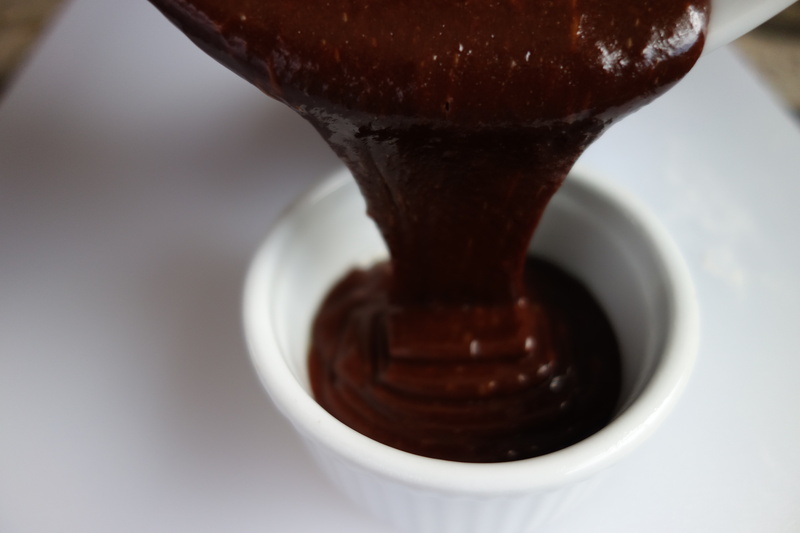 If you have a double boiler, you’ll want to use that to melt the butter and chocolate. That’s my preferred method. If you don’t have one, not to worry, there are other ways too. Another option is melting the chocolate directly in a saucepan on the stove. Once the chocolate is mostly melted, turn off the heat and let the chocolate finish melting while stirring continuously with the butter. My least favorite option is to melt it in the microwave, but that works well too. Start with 30 seconds and then add about 15-20 seconds until the chocolate is starting to melt. It is really easy to burn chocolate so keep an eye on it. 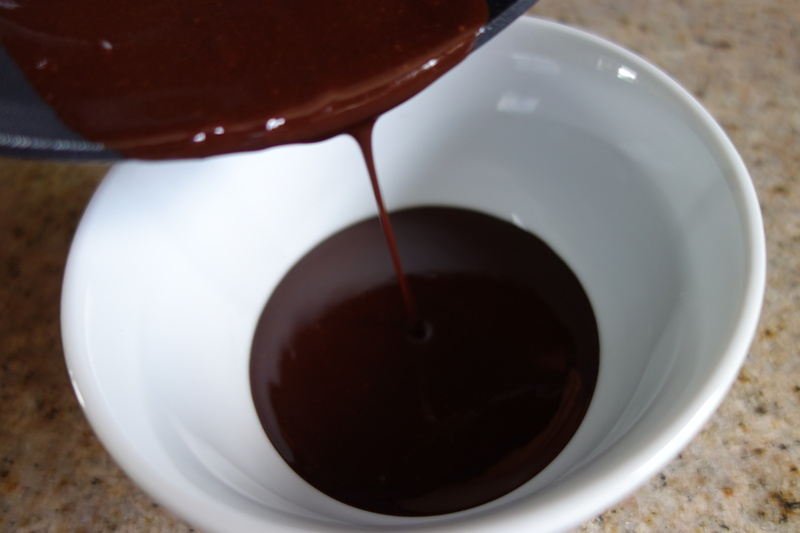 Pour the melted chocolate/butter into a bowl. Preheat the oven before finishing the batter. Add the powdered sugar into the chocolate/butter. Mix the ingredients until incorporated. Mix egg and egg yolk in separate bowl. Add the eggs to the batter and stir until well mixed. Stir in the vanilla extract. Lightly grease two ramekins. 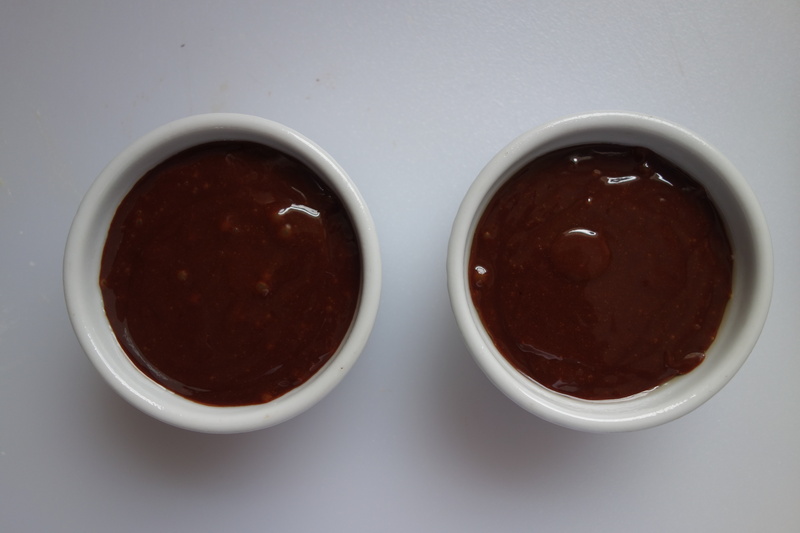 Pour the batter into the lightly greased ramekin. Fill the ramekins almost to the top. You might want to place these on a baking sheet so they are easier to get in and out of the oven. Otherwise, you can place the ramekins directly onto the oven rack. Cook for 12 minutes or until the top rises and you can see small cracks. Sprinkle with powdered sugar and serve it hot! Oh, and don’t forget the ramekin just came out of the oven so IT WILL BE VERY HOT. Seriously, don’t touch it. Melt butter and chocolate together. When chocolate is almost completely melted, turn off heat and stir butter and chocolate until chocolate is completely melted. 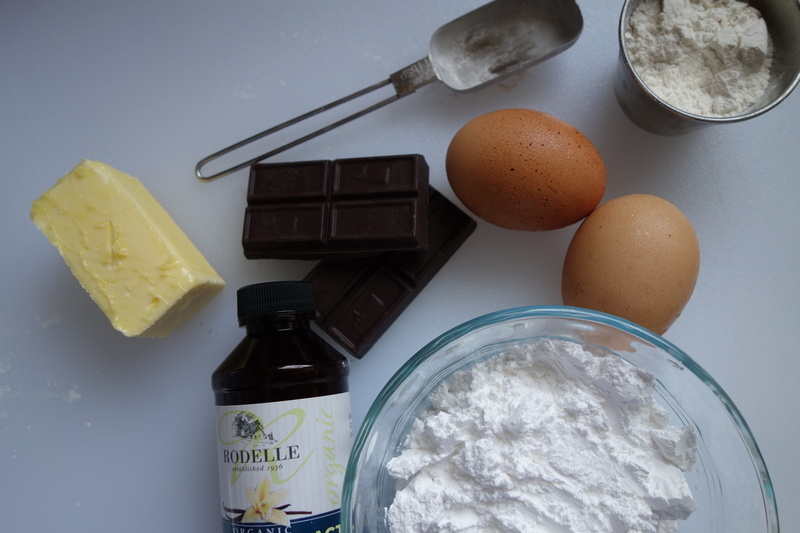 Mix powdered sugar into chocolate until combined. Mix egg and egg yolk in separate bowl. 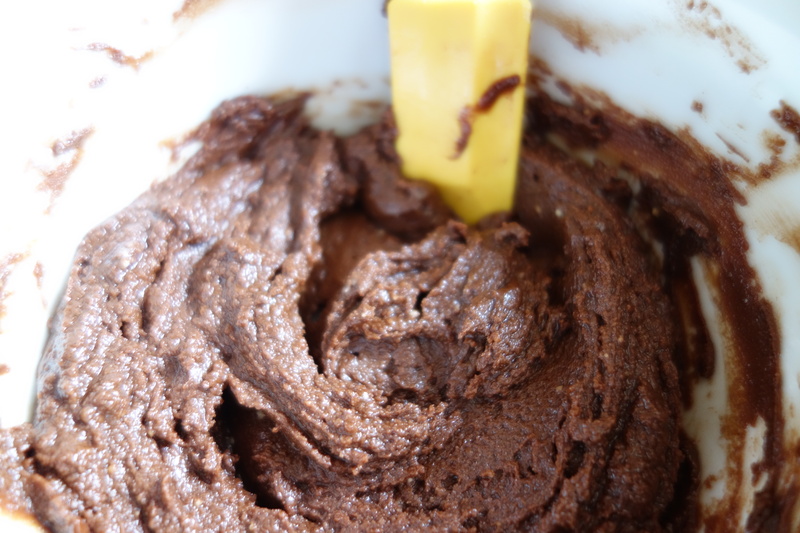 Pour into chocolate batter and mix well. Stir in flour until well mixed. Spray 2 ramekins with coconut oil spray or nonstick cooking spray. Pour batter into ramekins until almost full. Place ramekins on cookie sheet and cook for 12 minutes or until cakes rise and you see small cracks in cakes. Remove from oven and dust with powdered sugar.